Teachers love and care for their students every moment of every school day. It's what we do and we wouldn't have it any other way. But, we mustn't forget the men who support our efforts and turn a blind eye to our Target receipts!! 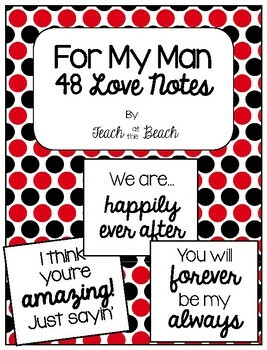 Here's a freebie to all my teachers out there who want to show their loved one some personal attention. 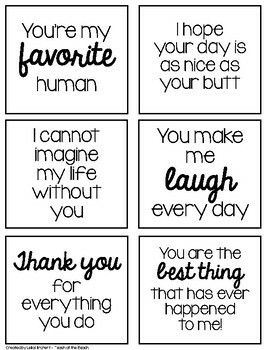 These love notes are perfect to put on the mirror in the morning, tape to their steering wheel as they leave for work, or tuck into their laptop before heading off to the big meeting. 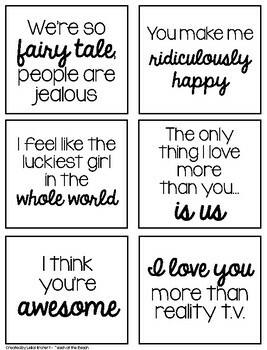 We love them for loving us! Let's be sure to show it! 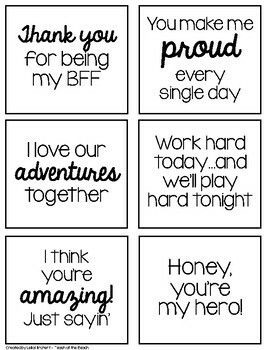 If you download this freebie, please take a moment to leave feedback! Thank you!